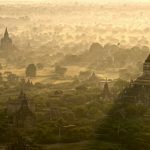 Myanmar, or Burma as the country was known as before, is South East Asia’s second biggest country with a long coastline from Thailand in the south up to Bangladesh in the north. This country has everything from big cities to beaches, desert like plains and high mountains. There are vast cultural treasures and friendly people, so many reasons to go. I had the privilege and the pleasure to visit the country in 2012 and it is still on my “top 5 list” of trips in Asia. 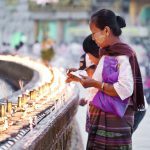 Myanmar is easy to travel in and not complicated, but a good trip there needs some planning and consideration before you go. Have below pointers in mind and you will have a great trip! Internet & Phone Communications in Myanmar (Burma). Internet is available in most tourist places in Myanmar but it is usually very slow and not everywhere. I do not recommend relying on services like Dropbox, Google Drive or Onedrive to protect the photos from your trip, because it will be too slow. You will take lots of photos too. Bring memory cards and apply a backup routine that works without Internet. I brought extra memory cards and backed them up to my tablet. Make sure you have offline content, like music and videos, to last your trip. Because of slow Internet, you cannot rely on streaming services like Spotify, Netflix and similar during your trip. 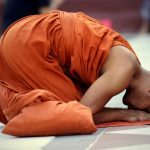 Western cellphones do not work in Myanmar. No texts, no calls. Before I left, I thought this was going to be the toughest but turned out to be very nice. It could be a good idea to tell your friends of this fact so they don’t assume something bad has happened when you don’t reply to their text messages in your normal speedy manner. Buddhist monk saving prayers at the Schwedagon Pagoda in Yangon, Myanmar. 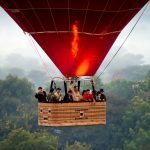 Ballooning over Bagan is a great experience. Schwedagon Pagoda in Yangon, Myanmar are one of the destinations on this trip. 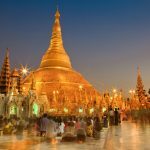 Most nationalities need a visa to enter Myanmar. 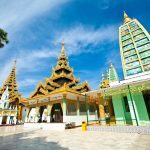 You can apply for it in advance through an Embassy of Myanmar but the easiest and most convenient way will be to let your travel agent handle it. It will cost you somewhere around 50 – 75GBP but worth every penny. The immigration in Yangon looks very technically advanced but god knows if it works and if it is connected to anything? Credit cards does not work. There are some entrepreneurs who will accept your credit card by charging it outside Myanmar. I am not saying these are crooks, but if something happens with your card details your bank will most likely blame you for giving out your details. The fees for charging outside Myanmar tend to be quite high too. Cash is king and there are plenty of places and possibilities to change money. I brought US Dollars and everything worked fine. Most hotels will charge you in US Dollars. Be picky about which airline you fly. 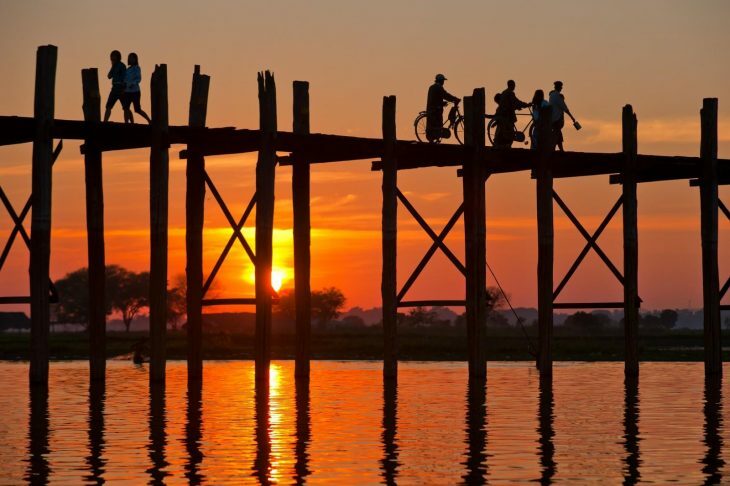 Roads and trains in Myanmar are not so good and flying is the transport method of choice for most distances. I am pretty sure all airlines in Myanmar are on EU:s black list. Airlines come and go quickly and have various standards, so consult with your travel agent about which airlines to choose for your trip. I would not just book any flight in Myanmar after having seen some of the airplanes flying there! Fokker F27/28 are immensely popular in Myanmar and some of them has been bought cheaply. One of the many temples in Yangon, Myanmar. If you are a woman, please leave your most revealing outfits at home. If you are a man, avoid dressing yourself in pink because this is the color nuns are wearing. I wore a pink polo-shirt at the Schwedagon Pagoda and I promise that I was the amusement for the locals that night. Medical clinics are few and very basic in Myanmar so make sure you have an insurance that flies you to a nearby hospital with good facilities, in this case in Thailand, Malaysia or Singapore. Please make sure that you have the medications you need with you, since it can be hard to get medicines in Myanmar. Naturally, carry them with you in your hand luggage. It is never a good idea to put vital and necessary medicines in checked luggage, but this you knew already. The interest for Myanmar has skyrocketed which means that the demand is a lot bigger than the supply. This means that there are usually no rooms available for walk-in guests. In other words, you do want to book ahead. If it is hard to get accommodation when booking in advance, offer to buy half board since the guest who spends the most money with the hotel will get the room. Once again, I want to be crystal clear that traveling to Myanmar is not an expedition in unexplored terrain. You just have to prepare and think ahead. Please stay tuned on my blog because there will be more about Myanmar. As always, your comments are welcome. Please comment below, on Facebook or on Twitter.